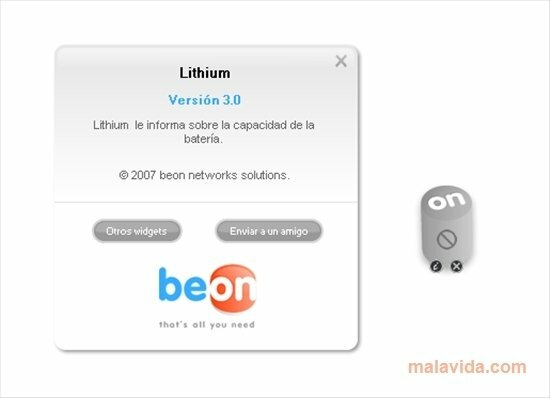 Lithium is a small utility for the desktop with which you will be able to know at all times which is the charge level of your battery, so that you will always be able to know the amount of time left that you have to work on your laptop, because it is possible that during the creation of any project your computer will turn off unexpectedly. The program doesn't require any kind of configuration or preparation to be used, because it will directly recognize your PC's battery and will show the charge. Obviously, Windows has a similar utility for this purpose, but it is much uglier than Lithium. The interface has a gray tone that will adapt perfectly to any interface, because even if you have customized the colors of your operating system or the background wallpaper, you will be able to use this widget because it won't look at all out of place. 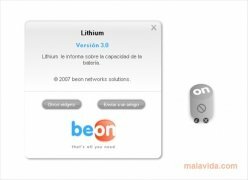 Download Lithium as soon as possible and discover a utility with which you will always be able to know when your battery is going to run out.